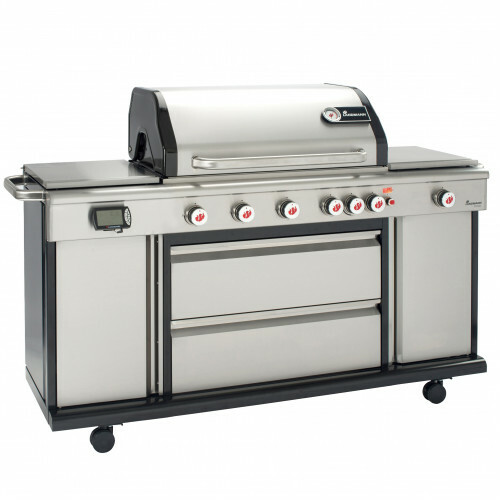 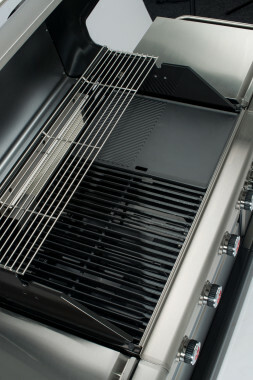 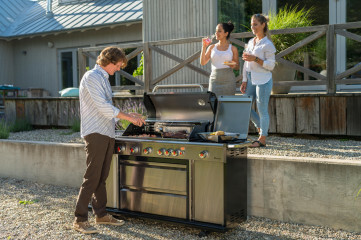 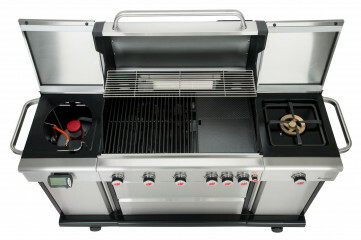 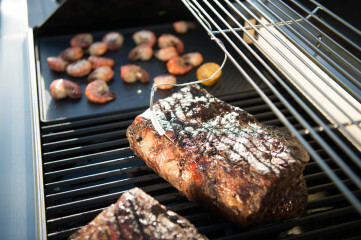 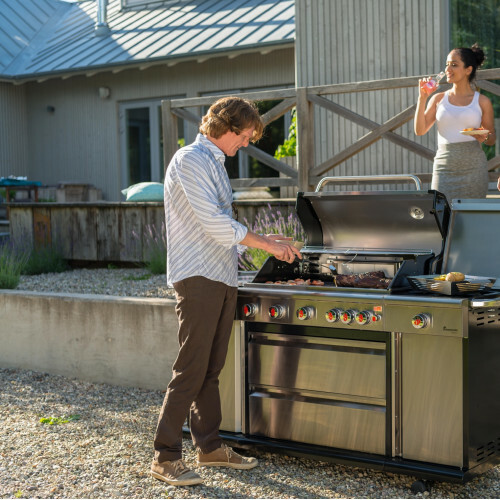 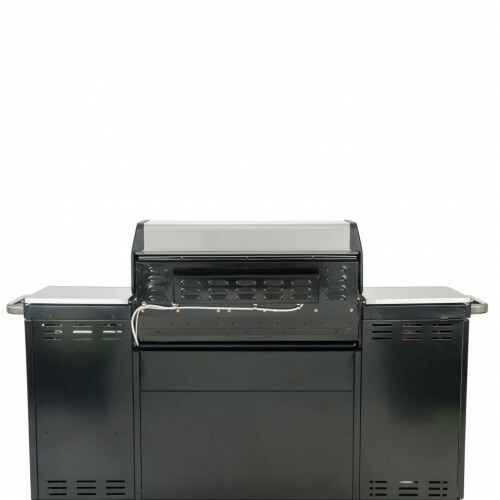 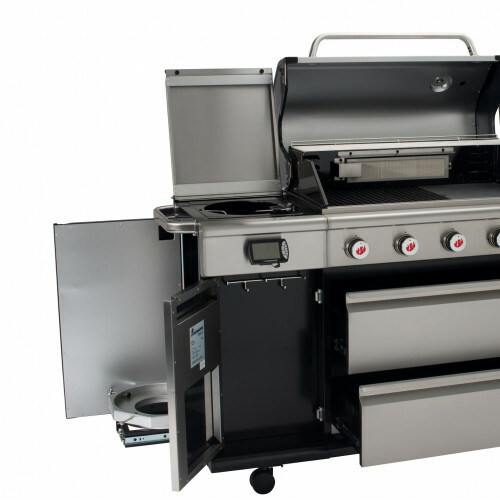 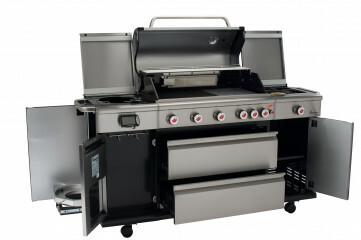 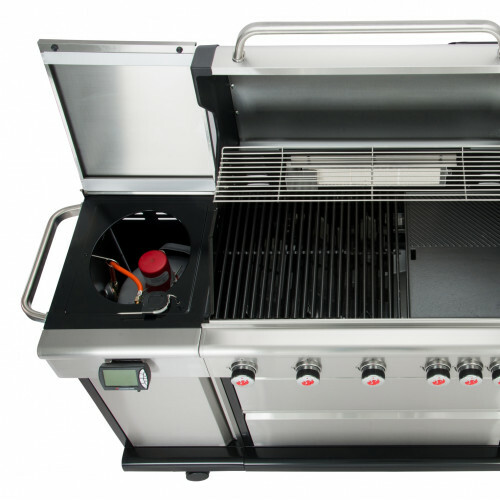 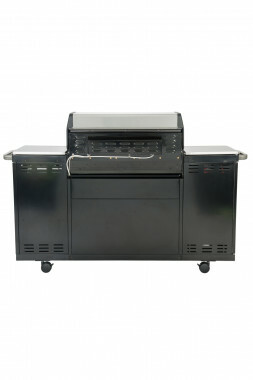 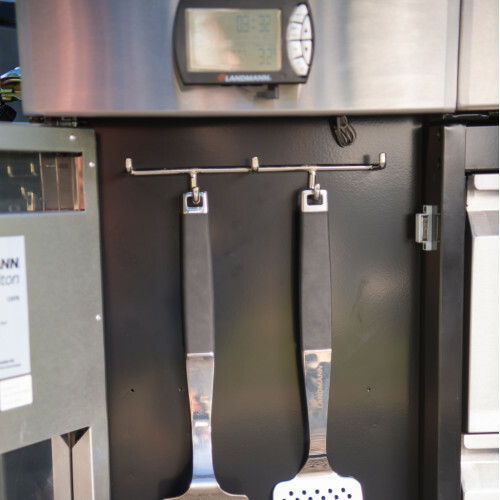 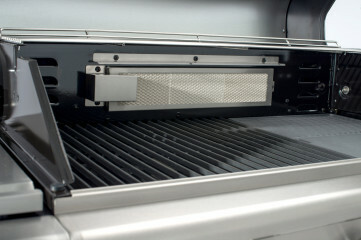 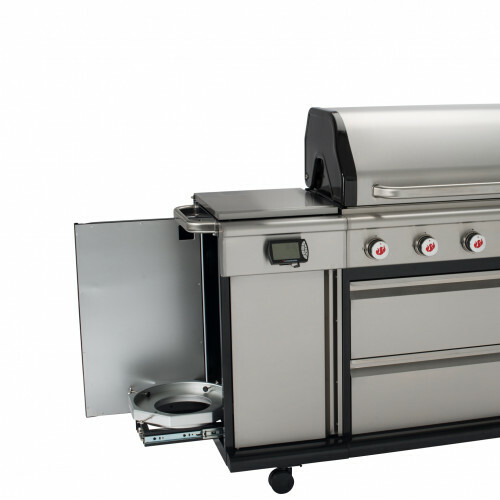 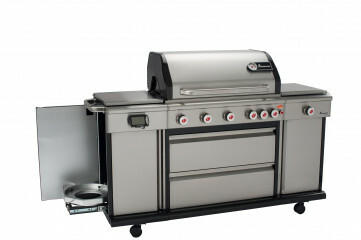 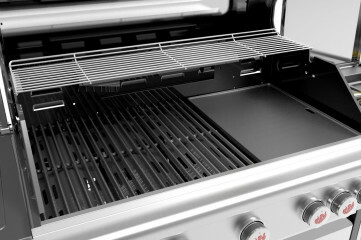 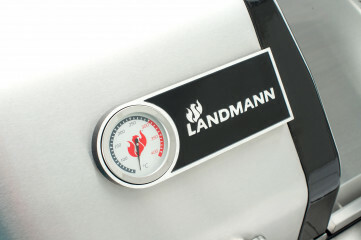 The Triton PTS+ 6.1 Gas Barbecue is a great-looking gas BBQ brought to you by Landmann, complete with 10 Year Manufacturers Warranty, and a host of unique features - meat thermometer, gas level indicator etc. 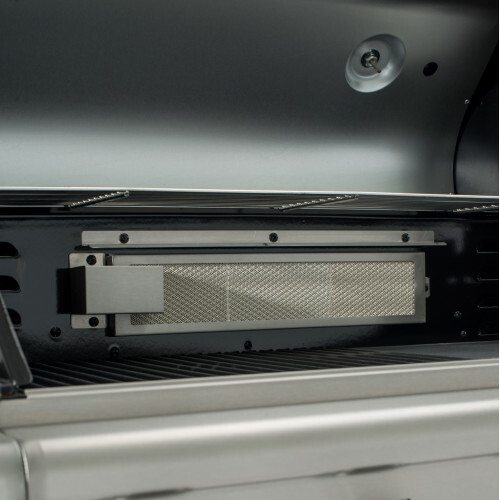 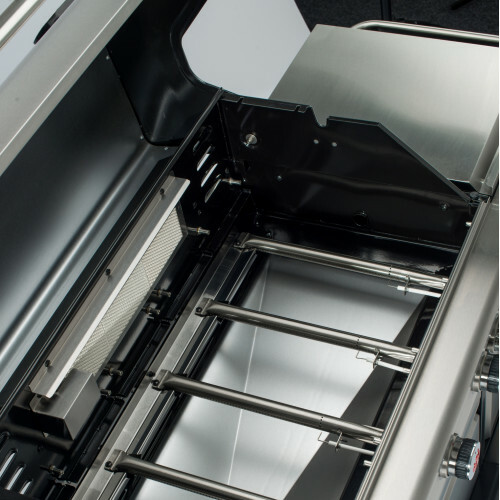 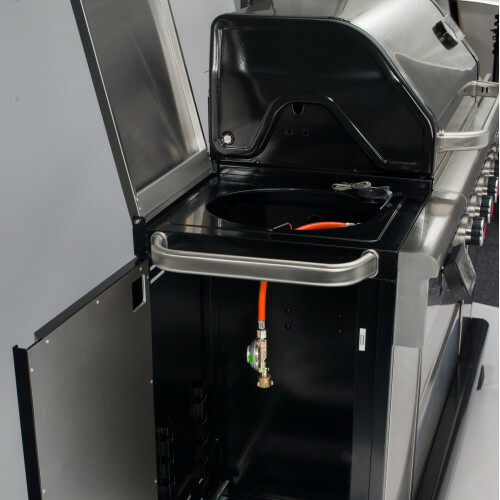 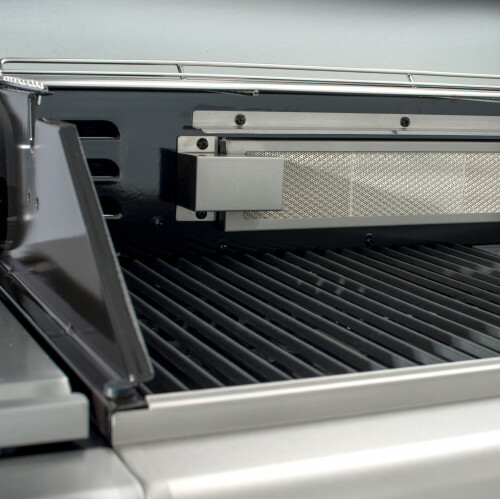 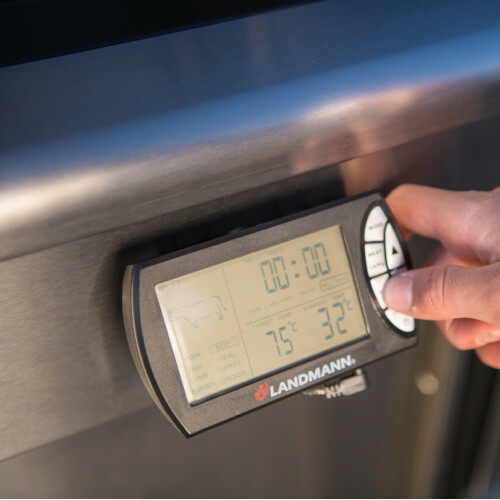 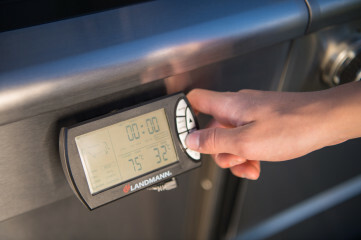 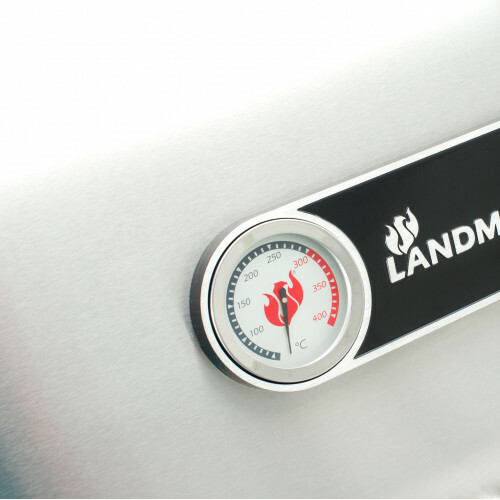 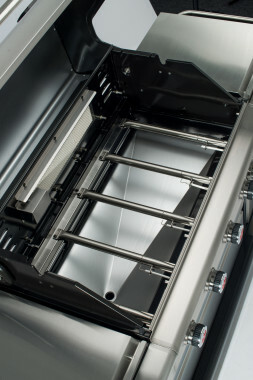 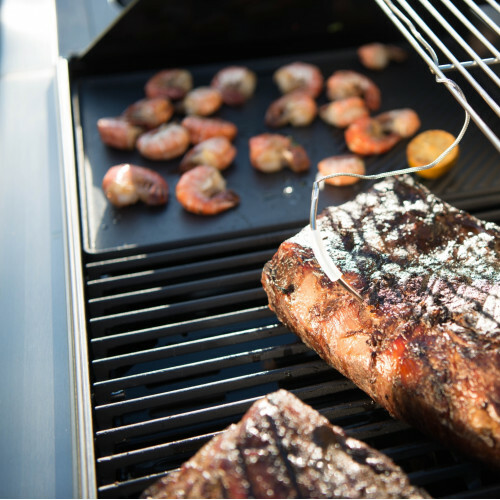 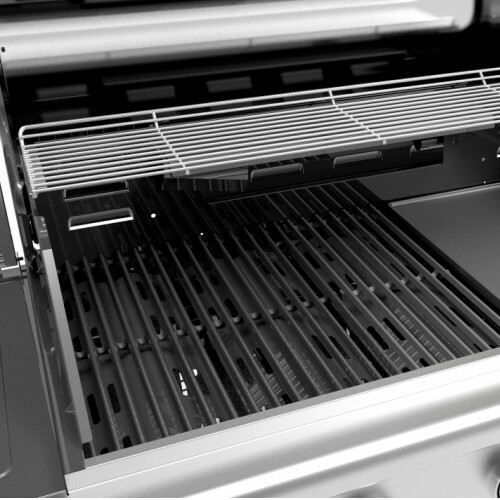 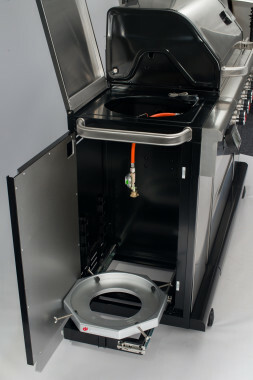 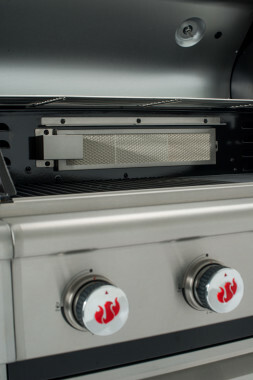 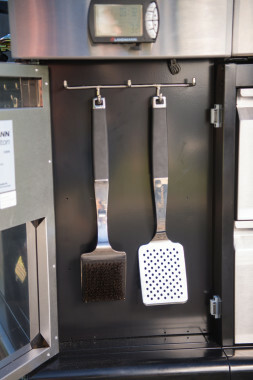 PTS is Landmann's Power Thermal Spreading system, which succeeds at spreading heat evenly across the entire cooking surface, to combat the traditional cold zones and heat blocks that a normal gas barbecue suffers from. 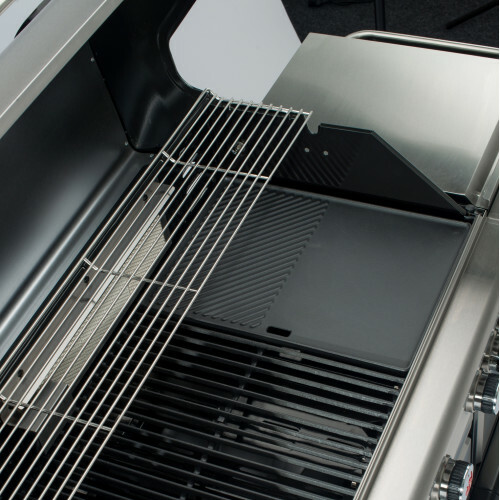 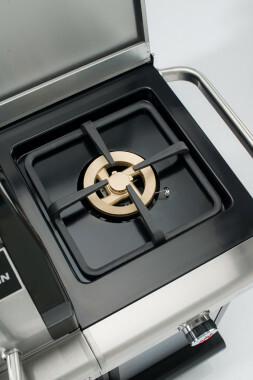 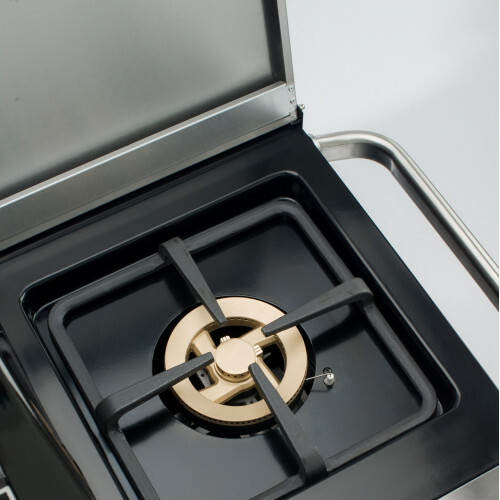 This is achieved by the shape, design and positioning of the Burner Covers / Flame Tamers and the profile of the metal in the Cooking Grids, all designed to conduct heat efficiently.